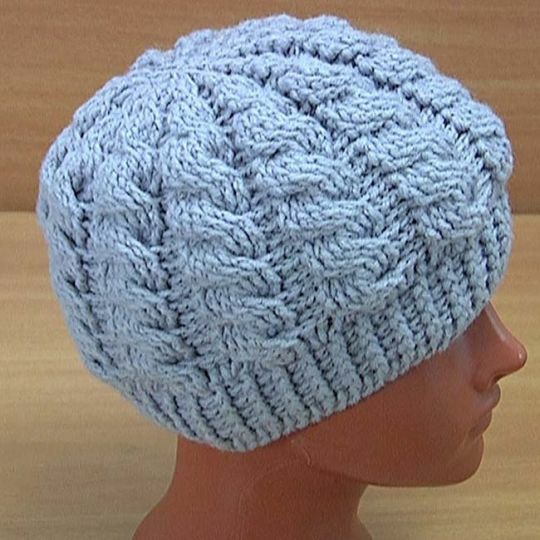 In this tutorial, you will see how to make a crochet cable hat. To crochet this hat with cables you need: 130-150 g of semi-wool yarn (49% wool, 51% acrylic, 240 m in 100 g); hook 4.0 mm or 4.5 mm. The hat is suitable for head volume 52-54 cm, height 21 cm. Whether you’re new to crocheting or just need a project that works up quickly, this free crochet hat pattern for beginners is astonishingly easy. If you can crochet a rectangle, you can make this simple unisex beanie pattern! Crochet winter cable hat pattern is the coziest, warmest, cutest adult hat designs available. Whether you are adding to your own collection of handmade winter accessories or making hats for charity or gifting, these crochet patterns will give you options that are fun to make and outstanding to wear.